Cyril Huze Blog — March 10th, 2010 in Builders, Customs, Editorial and Events. The 31st annual Donnie Smith Bike Show is scheduled for march 24-25 2018 at the St Paul Minnesota River Centre. This show is the largest custom-bike show in the mid-west and is drawing some of the big guns in the biker world. Fellow builder Donnie Smith, a Minnesota native, is a well-respected Hall of Fame Master Builder who has influenced motorcycle design for more than thirty years. 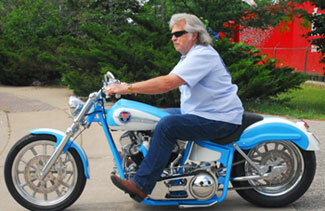 His company, Donnie Smith Custom Cycles, specializes in one-of-a-kind custom-built bikes. 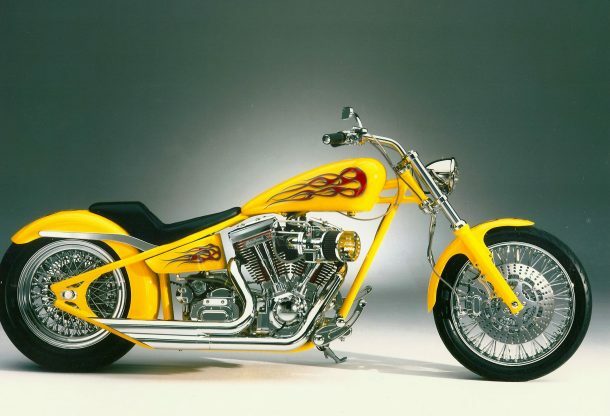 Donnie is known for creating his signature “Girder” front ends, which are popular on choppers of the 60’s, 70’s and today. In addition to the big bike show, of the swap meet and of the vendors, new this year is a Biker Saturday night party at 6pm with Happy Hour, full bar and live music. 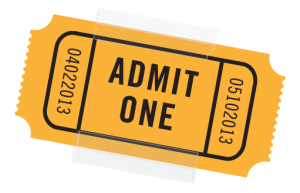 Tickets available at Ticketmaster or at the box office the day of the event. Tickets are $12 each day. Free for kids 12 and under. Donnie Smith Bike Show. 23rd annual Donnie Smith Bike Show. Bookmark.